Children are excited about starting kindergarten. They are also a little afraid as well. After all, starting school means a change in routine as well as being away from familiar surroundings for a long period of time. It also means following new rules and following directions from other, unfamiliar adults. It’s natural to have fears and doubts about this change. Talk to your children about what they can expect in kindergarten. And do what you can to prepare them for kindergarten. 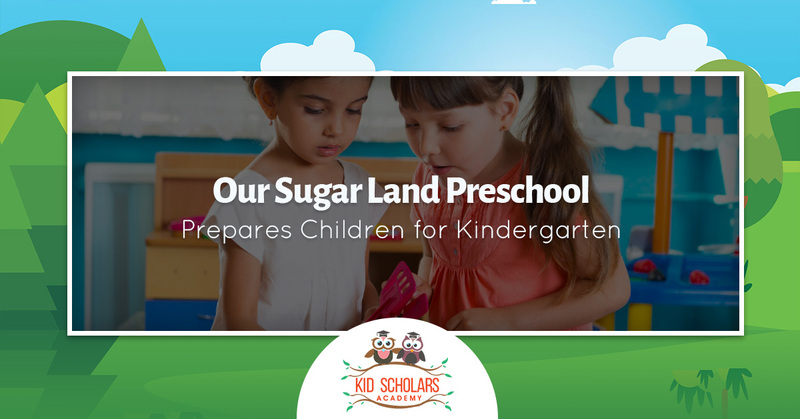 Kid Scholars Academy, your preschool in Sugar Land, offers you ways in which you can better prepare your children for kindergarten. It is very important that you praise your children as often as possible for their successes. You should be giving them a hug every day and telling them how much you love and appreciate them. It is important that you communicate with your children, listen to them and answer the many questions they have. Give your children plenty of unstructured outdoor play. Allow them to run, jump and use their imagination. When they are able to do this, they get to know their own bodies and limitations. Unstructured outdoor play allows them to gain strength, practice balance and exercise a lot, which also means they will sleep better at night. Some kindergarten teachers will say they think children’s fine motor skills aren’t as strong as they should be because they spend too much time staring at a screen. While there is nothing wrong with children learning numbers and letters on a computer or tablet, they need to be given plenty of opportunities to draw and write. This means you should give your children crayons and paper and have them draw pictures, write letters and make self-portraits. Your child should be able to follow simple two-step instructions without difficulty. For example, they should be able to take their shoes off and sit at the dinner table when asked. When they are in kindergarten, they will be asked to complete tasks on their own and regulate their emotions. Make sure your children are able to take off their shoes and unzip their coats without help. They should also know how to take turns. You want to make sure your children love books, so read to them as often as possible. They should also know what an author is and what illustrators do. They should also know that you read a book from the left to the right and from the top to the bottom. When entering kindergarten, children should have a basic understanding of numbers. So when you are feeding them apple slices, count with them. And when you are walking up stairs, count with them. In fact, any opportunity to count something should be met with eagerness. Take your children to the grocery store and have conversations with them about fruits, vegetables and grains. Explain to them why some foods are healthy for you and others are not. It’s a good idea to plant a seed and you and your children can watch it become a living plant. Understanding the feelings of others is critical in forming and maintaining friendships. Children who are aware of the emotions of others are able to socialize fluidly. Talk to your children about their own emotions and how to identify them. It is also a good idea to also talk about other people’s emotions. If you take a look around the next time you take your children on a walk or when you are driving with them to the grocery store, you will notice that words are everywhere. When you are walking or running errands with your children, point out and sound out the words you see on signs, cereal boxes and on grocery lists. Use sidewalk chalk and have your children trace over numbers and letters. Encourage your children to clean up after their own messes and put away toys when they are done playing with them. You children should be able to dress themselves and properly use the bathroom. In addition to teaching your children to say please and thank you, talk to them about raising their hand when they want to ask the teacher a question. Teaching your children how to share, communicate and take turns with other children prepares them for kindergarten. Make sure your children can blow their own noses, effectively convey to their teacher when they are sick or not feeling well and other elements of personal readiness. The benefits of preschool extend well beyond daily childcare. Attending preschool provides your children with the opportunity to become familiar with many aspects of kindergarten and beyond. 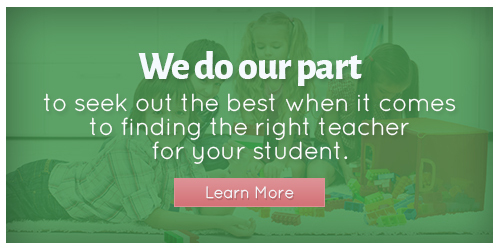 Give Kids Scholars Academy a call and let’s talk about our excellent programs.